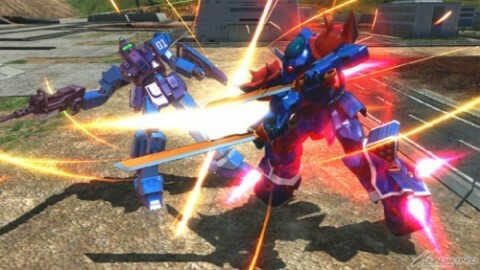 Looks like we’ll be finally getting the home version of Gundam Extreme Versus Full Boost for the PS3 in 2014. Not much information has come out quite yet, but there have been a few tidbits that have caught the eye. Aside from mentioning there will be 20 new units on the way (meaning more than likely on top of the Gundam Extreme Versus roster), it looks like Bandai Namco is putting a bit more effort into the game’s online functionality. There will be 12 player lobbies, more matchmaking options via setting the rank or win percentage, and online Arcade mode co-op. There will also be a Premium G Sound Edition that includes 30 more tracks not included in the arcade version, including 5 original tracks. I’m sure we’ll hear more information during the Tokyo Game Show next week and update you as soon as possible! Update: Over at Famitsu they have a bunch of nice new screenshots regarding the announcement. 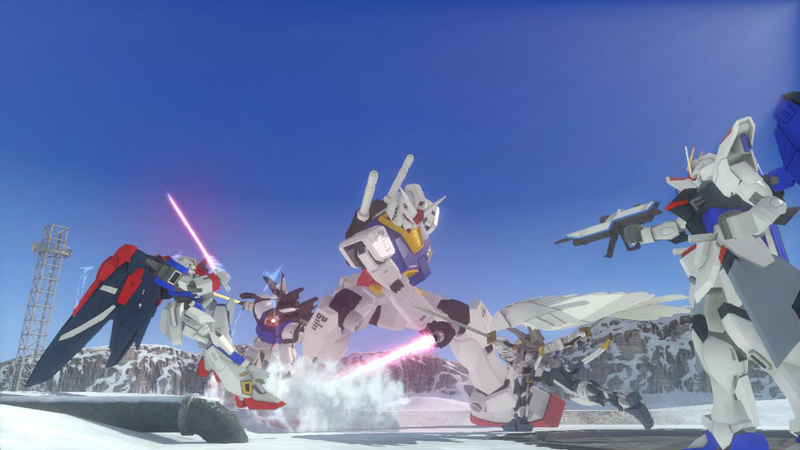 Shin Gundam Musou, the latest in the Gundam Musou series by Koei, has been recently announced for the PS3 and Vita in the recent issue of Famitsu. The game will be arriving to Japanese market on December 19th and will include the return of the Official Story modes for several Gundam series. 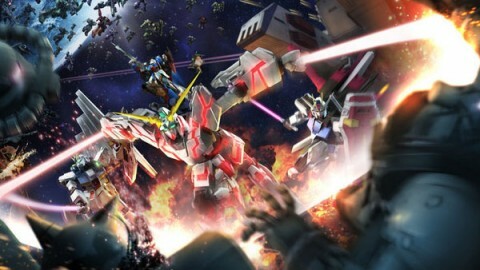 These will include new additions from Gundam Seed, Seed Destiny, and Gundam U.C. (Unicorn). 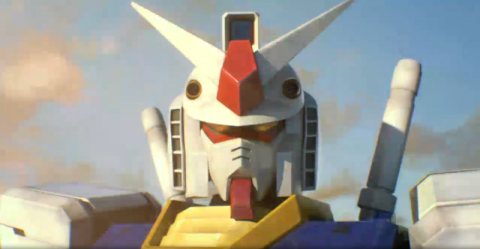 Not much has been released in regards to gameplay changes, but the graphical style has returned to a non-celshaded look, unlike Gundam Musou 3. It’s a strange decision as I really enjoyed 3’s aesthetics. 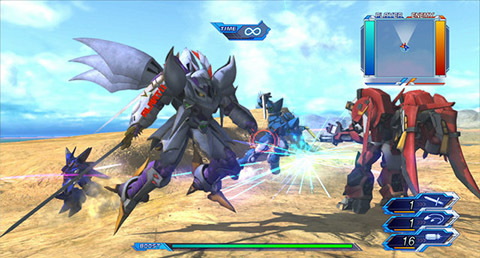 There’s also 100+ playable mecha, including the RX-0 Unicorn Banshee. No word on whether or not the game will be imported to the western market, but if the previous games are anything to go by, it will eventually come down the line. Also, no 360 version has been announced as well. The fourth episode for Super Robot Wars Operation Extend is now out. If you’ve already bought the combined pack then you can download it for free, otherwise you’ll pay 1000 yen. This update features Shin Getter Robo and the promo video below also shows a nice homage to the Dunbine OVA, as it features (very briefly) the beastly Zwarth. 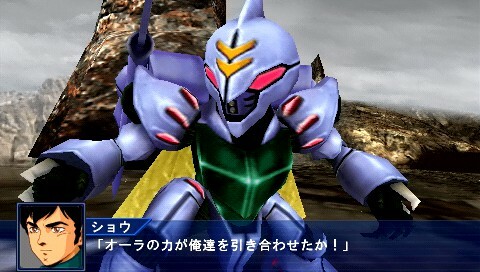 In a somewhat worrying move, Banpresto have announced Super Robot Wars OG Infinite Battle. This will be an arena based action game in a similar vein to that of Gundam Extreme Versus, except that this won’t be made by Byking. Instead, this is an in-house affair and the last time Banpresto tried to do an arena based action game themselves it didn’t go too well. Following on from this, there will also be a tie-in DLC called Dark Prison for OG2 if you buy Infinite Battle (though this will be released separately at a later date as well). This bundle of gaming joy will be released on November 28th for 7,480 yen and is a PS3 exclusive. If you’re curious to see more, then Famitsu has a nice piece on the game. 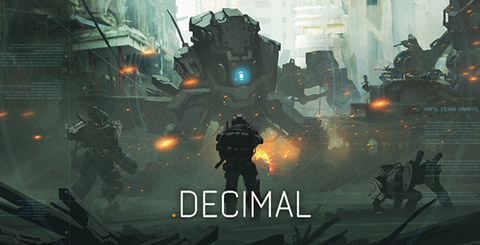 There’s a new mecha themed action RTS needing support, called Decimal it has just started its own Kickstarter to get development funds (specifically that of half a million dollars, which is ambitious to say the least!). The art style and concept art are very fresh, we also seriously approve of their approach to the game’s mecha design. The studio, Orb Interactive, is a recently formed entity and its staff have a pretty textured background. We’ve linked the promotional video below and this looks like something we could happily support. 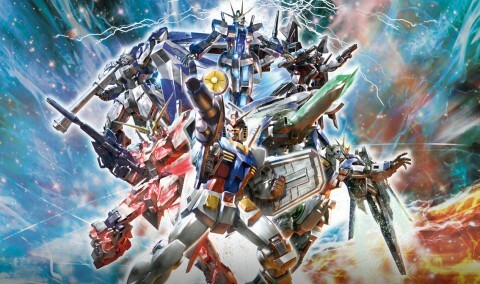 Now that the PS3 version of Gundam Breaker is out, Bandai have announced when the Vita version will hit. Out on October 31st, the Vita version will feature new units (such as the ZZ Gundam and Crossbone Gundam X-1 amongst others). Don’t worry though, as these new units will also be made available in the PS3 version (free of charge) in a forthcoming game update. That said, the Vita version will exclusively get a mass produced Gundam and Zaku set (so you’re not missing much). 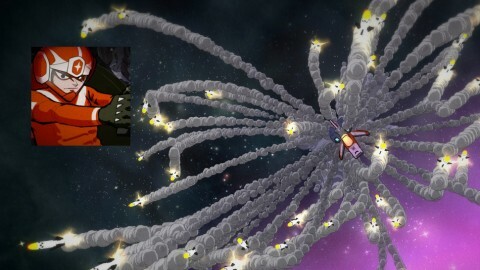 Sadly, the Vita release won’t have infrastructure multiplayer, instead opting only for ad-hoc. That said, you will be able to transfer your save data between both the PS3 and Vita releases. You’ll also be able to buy both boxed and downloadable versions of the game, at 6,980 yen and 6,280 yen respectively. You can pre-order the boxed version here.